I get the tributes on 9/11, I really do. Condolences to all the family members who lost loved ones. But why are we letting Bush and Cheney off the hook? Many of the surviving family members know something was amiss, but to receive financial aid for the global calamity they had to sign waivers that stated they would not sue the United States government. If you can't bring legal action, you can't speak out. There were glaring red, white and blue flags of discord and chicanery from the word say go with the Bush administration, starting with cheating to get into the Oval Office (if Gore would have won, 9/11 could not have happened because he was not a player in the colossal ruse). Six months into Bush's presidency, we experienced the greatest acts of terror against the American people in recorded history. Based on the duplicitous history of the United States Government, you must ask yourself, who are the true terrorist? In 2004, within a week after the Presidential Election (Bush's second term), we witnessed the "White House shakeup." Twelve of fifteen cabinet-level department heads resigned, including Secretary of State Colin Powell, Agriculture Secretary Ann Veneman, Education Secretary Rod Paige, and Energy Secretary Spencer Abraham. These people know that Bush and Cheney were living foul. Remember, Colin Powell was up and coming as many thought he'd be the first African American President. We have not heard a peep from Powell since his resignation. This man has secrets that he will take to his grave. Believe that! 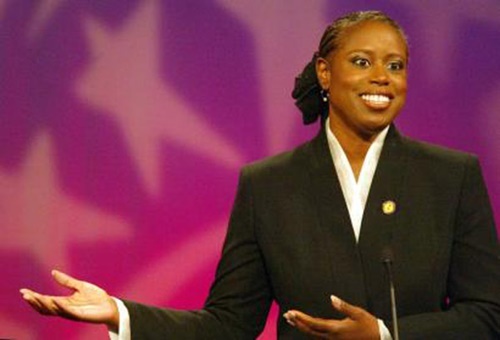 Former Georgia congresswoman Cynthia McKinney lost her livelihood by speaking out. She served six terms in the United States House of Representatives and was the first black woman elected to represent Georgia in the House. 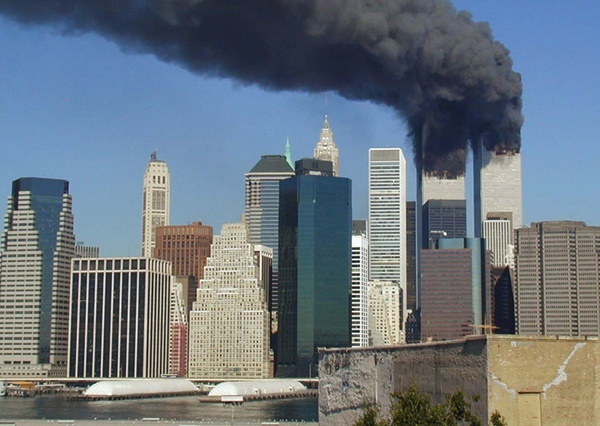 "The United States had advance knowledge of the attacks and that US President George W. Bush may have been aware and allowed them to happen, allegedly due to his father's business interests: "It is known that President Bush's father, through The Carlyle Group, had, at the time of the attacks, joint business interests with the bin Laden construction company and many defense industry holdings, the stocks of which have soared since September 11." For all intents and purposes, her bold and accurate proclamation ended her career in mainstream politics. Since her statement and subsequent whitewashing from the political arena, her reputation has been sullied by the U.S. media, to make her appear as if she's a supporter of everything anti-American. Do the research and it will be clear to the reader that the U.S. government had a hand in 9/11. It's OK to honor the victims that were killed by their own government, but every year we should also seek answers; we should also try to find the truth. Unfortunately, to our collective peril, we are treating September 11, 2001, just like November 22, 1963. 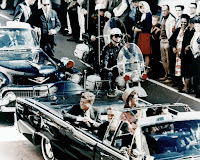 The scapegoat for the Kennedy assassination was Lee Harvey Oswald. The scapegoat for 9/11 is terrorism. Research shows that a few of the men purported to be pilots of the ill-fated airplanes were alive and well, long after September 11th. This is a known fact in every country except the United States of America. We can continue to sweep these 'inside jobs', these Casus Belli's under the rug, acting like they never happened, and go on with our selfish, arrogant lives. But to do so, would be a disservice to the victims of the most horrific act of 'intra-terrorism' the world has ever known.